Panama's capital is truly in growth mode. Consider this: Panama City is home to the tallest buildings in Central America, the first Waldorf Astoria and Trump hotels in Latin America, and the first Frank Gehry-designed museum (the BioMuseo) in Latin America. Panama's capital is truly in growth mode. Consider this: Panama City is home to the tallest buildings in Central America, the first Waldorf Astoria and Trump hotels in Latin America, and the first Frank Gehry-designed museum (the BioMuseo) in Latin America. 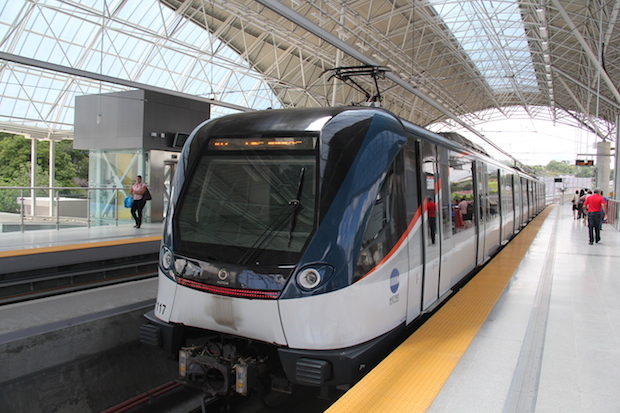 Now, add another first for Panama: this year, the nation inaugurated Central America's first urban rail system: the Panama Metro. During my most recent trip to Panama on assignment for my blog LatinFlyer.com and other media outlets, I worked with Noel Murillo, an accomplished Panamanian male model and TV personality (he's done everything from commercials to reality television), to put together a quick video report about this exciting new urban transportation system. • The underground stations are air conditioned (I can only wish that would be true about the stations where I live in New York City!). • Trains during the daytime run approximately every two to four minutes ("But you might have to wait up to eight minutes for a train at night!" one Panamanian friend warned me -- which made me laugh, considering that I sometimes have to wait for a Subway train for 20 to 30 minutes in New York City (although, granted, New York City's system operates 24 hours a day, and the Panama Metro shuts down at 10pm). • The Metro is actually useful for travelers, whether on vacation in Panama or on a business trip, since it's possible to take the train from hotels in the neighborhood called El Cangrejo (big hotels like the Veneto Wyndham Grand and the Hotel El Panama Convention Center & Casino, for example) to the giant Albrook Mall as well as the main bus terminal, which sits adjacent to the mall. 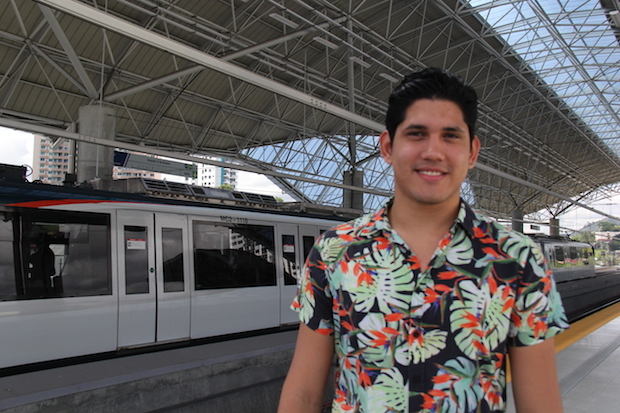 While travel between El Cangrejo and Albrook Mall can take up to 30 or 40 minutes during rush hour by car or bus, by train it's a sleek, 15-minute ride (and you won't have to worry about getting overcharged by taxi drivers, which is common in Panama City). • The Alstom Metropolis train cars -- built in Spain by a French company -- are nearly identical to the newest additions to the fleet of the Barcelona Metro in Spain, complete with air conditioning, video screens and an open design that allows for easy walking from car to car. • Digital signs in every station announce when the next trains are coming. • The Metro cards are durable and well designed; it costs $2 for a card, which you can then fill and refill with as much value as you like (the current fare is just 35¢, but that is expected to rise closer to $1 in the coming months). • The three-car train sets that run along Line 1 can accommodate up to 600 passengers per train, but the station platforms are built to accommodate six-car train sets, allowing for future growth. • Line 1, which is the only one open at this time, runs 8.5 miles and serves 12 stations, with two more stations to open in 2015. A second Metro line is in the works for the coming years, eventually linking Panama City's Tocumen International Airport by rail to the city itself.